This is a classic comedy. It is vulgar and pretty accurate for the time. 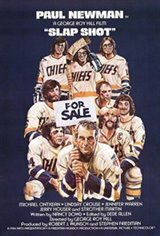 It is from the late 70s so it's not the most politically correct movie, but if you take that into account, it can be enjoyable. This movie made "Goon" possible. So...if you liked Goon, then you'll like this.